Yashoda Parthasarthy is a director, animator, and motion designer based in Mumbai, India. 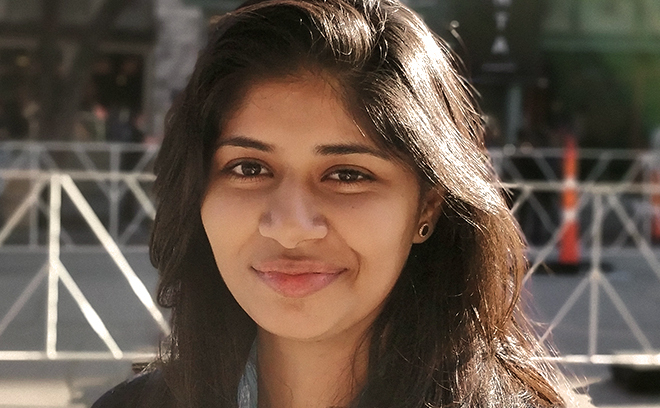 Born in Chennai, Yashoda has a Bachelor of Science in biotechnology and a diploma in 3D animation filmmaking. She began her career as a junior editor and motion graphics artist at Qyuki Digital Media. A couple of years later, she joined motion design studio Plexus, working on commercial, film, and music video projects. She has worked on title sequences for films Angry Indian Goddesses (2015), Double Barrel (2015), Raman Raghav 2.0 (2016), Baar Baar Dekho (2016), OK Jaanu (2017), Richie (2017), Solo (2017), Netflix series Sacred Games (2018), and others. In 2018, the main-on-end title sequence for Solo was nominated for a SXSW Excellence in Title Design Award. Currently, she is Creative Director at Plexus.